RESPECTED administrator Chris Hartwig has resigned from the Harness Racing South Australia board. After seven years with the governing body, which includes a successful stint as chairman, Hartwig has decided to end his term early. Hartwig was originally planning to step away when his time finished in September. 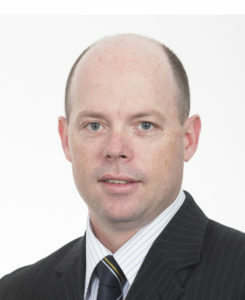 Hartwig’s decision stems from the current dispute between HRSA and the South Australian Harness Racing Club. Confirming his belief in HRSA’s stance and concerns about the club’s committee and their ability to manage the venue, Hartwig admits he does have a difference of opinion with moving races away from Globe Derby. “I am 100 per cent behind the board in its stance against the club and in no way is my resignation a sign of support for the club,” Hartwig said. “The board is trying to ensure harness racing has a stable, strong performing home, which it simply doesn’t have at this point in time. “The club’s committee has proven it cannot run the venue successfully by making substantial losses for the better part of the last decade, which saw the club more than $6million in debt and forced to sell assets just to dig itself out. “I believe it is time for a new committee to take control of the club and move it forward. “I do feel the board should be holding races at Globe Derby while issuing its demands, but the remainder of the board is steadfast in their belief and I respect that. They can continue with their course as a unified board, which is how it should be. “If Gawler was available I would happily see races taken away from Globe Derby and run there. “During my time with HRSA one of the things I am proud of is the Cunningham Report and I have no doubt the recommendations from that should be implemented. It is a shame that our major classics for our young horses are going to be in disarray again .so nothing has change in a couple of years .It is the wrong time to upset Breeders and owners that have paid up for their babies.Good luck Chris. It’s a shame to lose a good man in Chris Hartwig the only one any industry knowledge now gone. Chris thanks for everything and your support over the years. SOUTH AUSTRALIAN Harness Racing is worse off.